Food Grade belts are primarily used in the Food Industry and the Tobacco Industry. 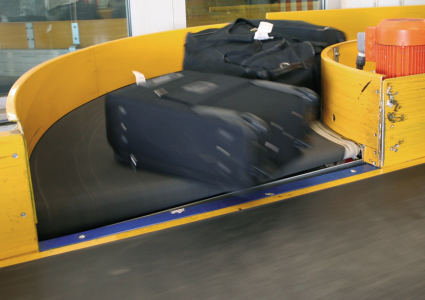 Flame-retardant and energy efficient belts are a sought-after feature in the Airports and Logistics Industries. For the Food Industry, we manufacture belts for use in high or low temperatures, with excellent resistance to oils and fats and superb release characteristics. Ammeraal Beltech developed belts with antimicrobial additives to assist in reducing the number of microbes on food contact surfaces. This also reduces the risk of food contamination - ensuring optimum adherence to your food safety standards and supports the implementation of your HACCP programs. Our AntiMicrobial (AM) belting range will help to keep the belt cleaner and reduce build-up of bacteria on the belt surface. Stronger and tougher than ever. 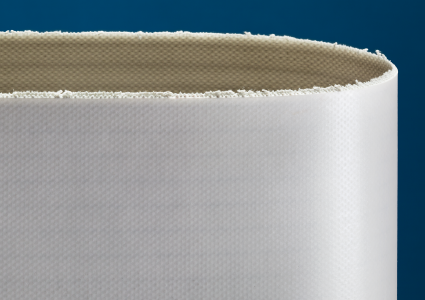 Our non-fray belts run and remain intact longer and deliver even better food hygiene by reducing fabric fray contamination. 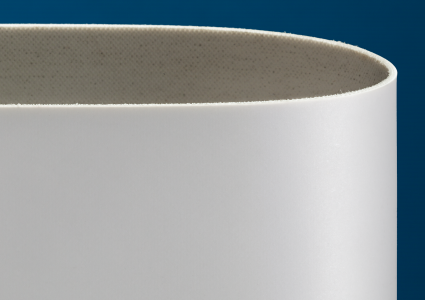 Our KleenEdge and AmSeal Belts tackle contamination risks that may occur from belt edge wear. 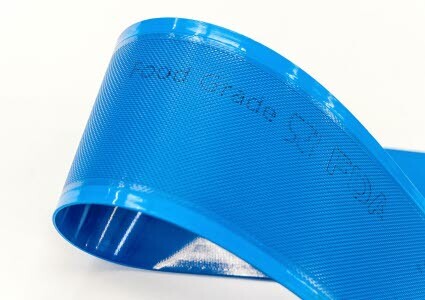 The belt construction is designed in such a way that the high strength reinforcement fabric is held securely together in a tough non-cracking thermoplastic polyurethane seal. 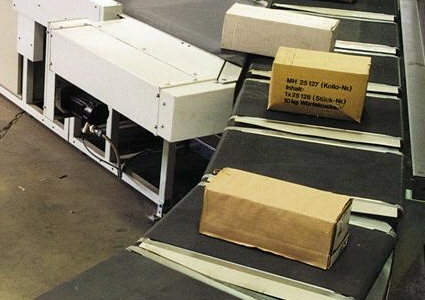 Particularly when conveying small goods, the transfer between 2 belts must be as short as possible. In this case it is common to use knife-edges. 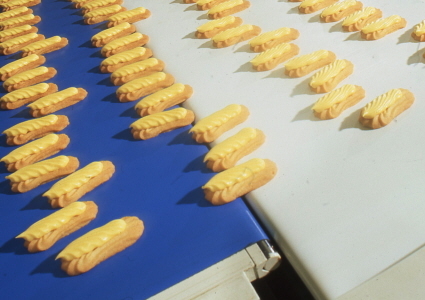 Knife-edges are used in material handling, primarily on conveyor belts for the Food Industry and for the Beverage Industry. More tension is needed to flex the belt over a knife-edge which causes more wear. This calls for premium quality belts. 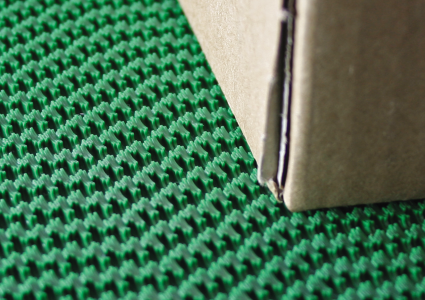 We offer low noise belts for better working environments capable of high-speed power turns and extremely reliable flame-retardant* belts with extra long-wearing top covers. Our high impact-resistant belts are able to withstand heavy shock loads. Working closely with OEMs we have developed a range of self-tracking belts showing superior performance on fixed centre conveyors, two-way running conveyors and wide, short centre belts. Tracking of a belt in these situations is always very difficult. Our high grip belts are specifically designed to increase the friction between the belt and the products being carried. This is often needed for inclined transport or in slippery conditions. High grip characteristics can be obtained by using different materials and/or using certain profiles (embossing). We offer a range of wear-resistant belts that are specifically designed to handle even the toughest conditions you can think of. 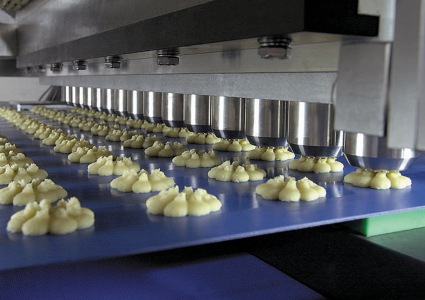 Wear-resistance is one of the most important properties that determine the life expectancy of a conveyor belt.